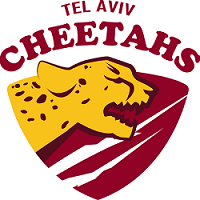 One of the more interesting teams headed to Ireland for this weekend’s Euro Cup in Cork is the newest Australian Football entity in Israel, the Tel Aviv Cheetahs. Whilst they are a genuine new team on the world stage, based in a city not known or its connection to the game, in truth, they are a phoenix rising. The team that runs out in Cork to do battle with the best teams Europe has to offer owes much of its existence to the Peace Team, formed in 2008, and more recently their incarnation as the Jerusalem Peace Lions. But make no mistake - this team from Tel aviv is itsown entity, grown out of its own grit, sweat and determination. After having performed admirably at the 2017 Euro Cup in Bordeaux, France, where they managed to finish in 11th place overall with an historic win against Sweden, the Lions returned to Israel to a period of change. With key players leaving Jerusalem to travel elsewhere on life paths, some relocated to Tel Aviv and, inevitably, a footy got kicked in a park somewhere. From there, the Tel Aviv Cheetahs came to life. Driven by former Jerusalem Peace Lions’ player, Shir Shalev, and fellow former Lion, Saad Bahroom, the new entity continued to recruit local talent in Tel Aviv as well as an ex-pat Australian coach, Terry Dehghani. The journey from inception in May to Euro Cup in October is an incredible tribute to the passion of the team driving the Cheetahs. With the help of Tasha Reshetnikova from Oddballs (www.OddBalls.co.il) - an organisation committed to “helping grass roots and non-mainstream ball team sports” - the Tel Aviv Cheetahs have grown from local park to the Euro Cup in Cork in just six months. According to the club’s ‘Go Fund Me’ page, “Tel Aviv Cheetahs continue the legacy of Peace Team by reinforcing inclusivity and diversity. We are a team of Jews, Arabs, Australians, people with single or multiple citizenships, at times quite complex biographies and identities, but same love for the sport and desire to bridge the gaps, and focus on things that unite us rather than divide people. According to the AFL Europe website, team captain Shir Shalev states, “I think this year we can win at least two games, and hopefully enter the top 8.” Whether or not they do, however, is almost secondary to the incredible work the club is continuing uniting Christians, Muslims and Jews through one tiny game – Australian Rules Football. Either way, win or lose, the world is a better place for their efforts to bring a unique modicum of unity to the world.